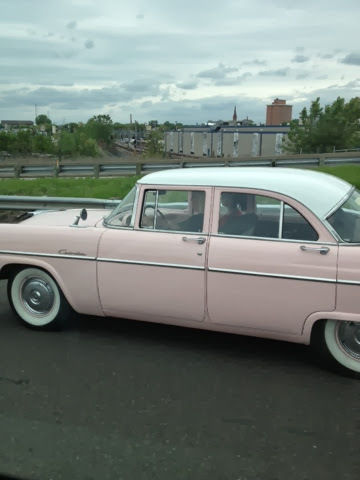 Spotted: The most adorable classic pink car on 94. And even better? The girls were sporting a throwback vibe themselves with winged liner, victory rolls, and some vintage threads. Guess what?? 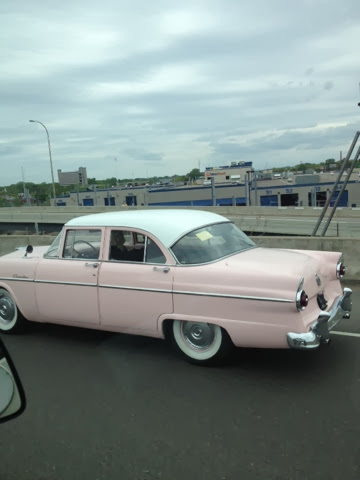 It was Glamdoll's car!! The owners had purchased it just outside of town and use it as a "shop mascot" to have parked outside the storefront. The car makes visiting this place an experience....and their doughnuts make visiting this place necessary. 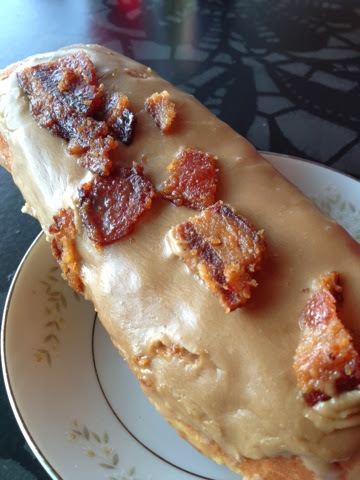 Maple frosted with bacon was a fun melding of flavors but dwarfed the tea-sized plates it was served on. 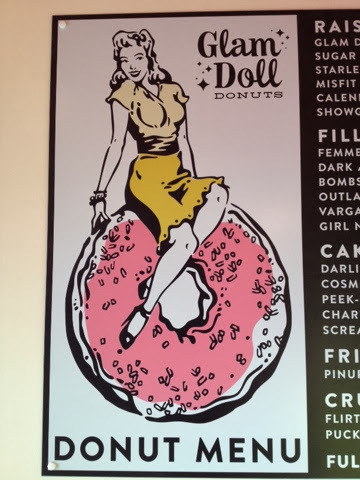 This doughnut destination is the new kid on the block and working out some kinks, I guess. But from their late-night hours, throwback style, and sweet treats, it is a place you don't want to miss! Even better? We know the wonderfully talented graphic designer that created their logo, etc!! Now you really cannot pass this up, eh? !